Been playing for 52 years. I just listen to what's in my head and then write it down. I Stated playing trumpet back in 5TH grade. I played that horn all through High School. At about 7TH grade I picked up a guitar but wasn't too good at it. So I bought myself a bass guitar and learned how to play it. Still something in me couldn't play all the top 40 tunes. Everyone told me I wasn't playing it right. So one day I decided that I was going to write my own tunes and I did. 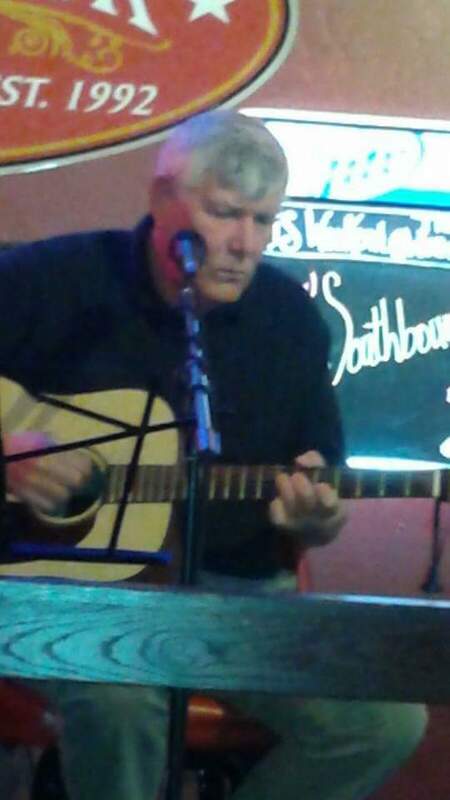 After 52 years of music behind me and many songs written that I don't have to worry about if I play them right. They're mine, even if I play them wrong I'm still playing them right. Back in the 70's I met a fellow by the name of Kevin McGuckin and we got together and started to play Monday night mics at Durty Nellie's in the NW Burbs of Chicago. We also played the Maroon Raccoon and Comedy Womb together Tuesday through Saturday. We would open the first show at The Raccoon and head down to the Womb and open the second show there. This went on for for years and we picked up some gigs on the side when we could. Out of this came many songs we wrote and co-wrote together. All the while we played together we met and saw Judy Tenuta and Arsenio Hall at the comedy clubs we played. We watched them spread their wings and fly leaving behind the cold winters of Chicago for California and beyond. Kevin and I went our own way for about ten years after his mom died. I had often wondered what had happened to him and one day I was driving past a music store in a strip mall and saw him out of the corner of my eye. So I did a quick turn about and headed into the parking lot and said hey fish face what's happening? So we started playing again doing open mics and writing more material, helping each other with lines and arrangements. We would head down to my basement and spend the whole weekend down there writing and recording. Kevin and I played on and off for 35 years together and then one day he Tell's me he has skin cancer and the doc told him he has 6 months to live. Well he made 2 months and he was gone. This February 2009 will be one year he's been gone. I hadn't played any music for ten months since his death and then I discovered Second Life. I said to myself this is interesting. So I picked up the ole' Fiddle and started plucking away. Went to see other people play and asked lots of questions and figured out how to play this thing called Second Life. So here I am Iz Finesmith aka Jerry Kabat playing tunes of Rock and Roll, Rockabilly, some Rythem and Blues, Folk Rock and Folk. Some Cover and some originals for you pleasure. I received an Honorable Mention from The John Lennon Song Writing Contest for "Sweetest Thing" which made my day.